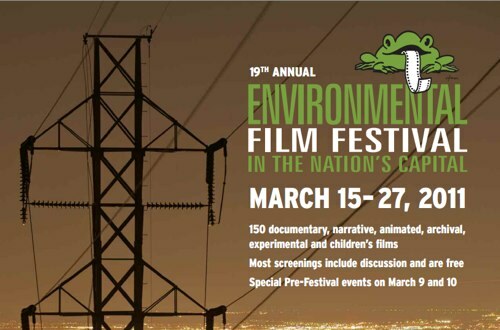 Image via Environmental Film Festival. Here are a few documentaries that focus specifically on sustainable cities, with examples of transport innovation and political leadership in Bogotá, Colombia; traffic challenges in China; and urban parks in America. One film that explores urbanization in Turkey, “Overdrive: Istanbul in the New Millennium,” is sponsored by EMBARQ, the producer of this blog. We hope you can join us at the screening! The formation of America’s first great city parks in the late 19th century is examined through the enigmatic eyes of Frederick Law Olmsted (1822 – 1903), visionary urban planner and landscape architect. With incredible foresight, Olmsted brought nourishing green spaces to New York, Boston, Chicago, San Francisco, Atlanta, Louisville and dozens of other U.S. cities, including Washington, D.C. Throughout his working life, Olmsted and his firm carried out over 500 commissions, nearly 100 of which were public parks. The parks, he believed, were to be vital democratic spaces in cities, where citizens from all walks of life could intermingle and be refreshed. A workaholic by today’s standards and plagued with chronic ailments, Olmsted spent the latter half of his life devoted to creating restorative green spaces for overworked city dwellers. In large part through his own words, this film weaves together his engaging and poignant personal story with those of the lasting masterpieces he left for us today. Written and produced by Rebecca Messner. Introduced by Deborah Gaston, Director of Education, National Museum of Women in the Arts. Discussion with filmmaker Rebecca Messner follows screening. Tickets: $5, General Admission; $4, Members, Seniors and Students. Reservations are encouraged. Please email reservations@nmwa.org or call 202-783-7370. This film was sponsored by EMBARQ, the producer of this blog. 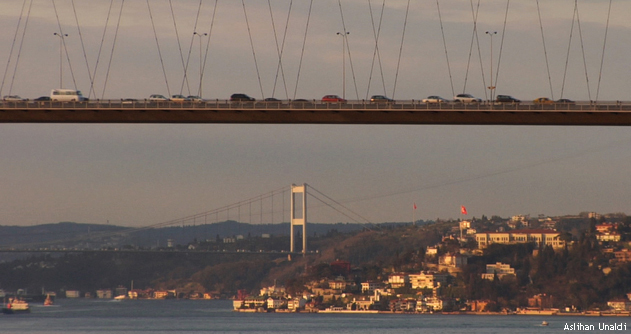 This documentary film tells the story of Istanbul’s struggle to come to terms with accelerated population growth and car-centric policies that have dominated its development in the last five decades – issues that are challenging megacities around the world. Istanbul, where once only a select few people were granted the special privilege to ride horses rather than walk, is now being inundated with cars. With 45 percent of its citizens spending two or more hours commuting, the joy of living in this beautiful city is being overshadowed by congestion and all the other social and environmental problems this implies. Both a love poem and a critical investigation, the film explores the impact of global trends on a city with a unique and complex history. Once an ancient imperial capital, now a bustling modern megalopolis, will Istanbul renew itself once again, or succumb to uncontrolled motorization and urban growth? Directed by Aslihan Unaldi. Discussion with EMBARQ Turkey Director Sibel Bulay and filmmaker Aslihan Unaldi follows screening. FREE. Reservations required. Please register online at https://overdrivefilmdc.eventbrite.com. Fifty percent of the world’s population is now living in urban areas. By 2050, this figure is expected to increase to 80 percent. The result will be an explosion of huge megacities posing serious local and global challenges. This is the story of two charismatic mayors, Antanas Mockus and Enrique Peñalosa, who, with unorthodox methods, in less than 10 years turned one of the world’s most dangerous, violent and corrupt capitals into a peaceful model city populated by caring citizens. The film uncovers the ideas, philosophies and strategies that underlie the changes in Bogotá and are now being exported to cities worldwide. Episode 4 of the film series, “Cities on Speed.” Directed by Andreas Møl Dalsgaard. Produced by Anna-Maria Kantarius, Jesper Jack and Henrik Veileborg. Panel discussion moderated by Kevin Finneran, Editor, “Issues in Science and Technology Journal” and Director, Committee on Science, Engineering and Public Policy, a joint unit of the National Academy of Sciences, National Academy of Engineering and the Institute of Medicine, follows screening. Participants include Christopher Jenks, Director, Cooperative Research Program, Transportation Research Board, National Research Council. FREE. Photo ID and reservations required. Email cpnas@nas.edu or call 202-334-2415. For more information, visit www.cpnas.org. Washington, D.C. Premiere Huang Weikai’s documentary captures, with remarkable freedom, the anarchy, violence and seething anxiety animating China’s major cities today. As urbanization in China advances at a breakneck pace, Chinese cities teeter on the brink of mayhem. One man dances in the middle of traffic while another tries to jump from a bridge before dozens of onlookers. Pigs run wild on a highway while dignitaries swim in a polluted river. These scenes, which can’t be shown on China’s heavily controlled television networks, reflect an emerging underground media, one that can truly capture the ground-level upheaval of Chinese society. Directed by Huang Weikai. FREE. No reservations required. Seating is available on a first-come, first-served basis. Auditorium doors will open 30 min. before screening.